If you are a Nora Roberts fan dont miss this series. Another Nora Roberts success!!! A wonderful finale to the 'three sisters' trilogy. Truly a great ending to a great Nora Roberts trilogy. I'd recommend it to anyone who loves romance spiced with just a 'touch' of the supernatural. This book was different. It was all right, but not my favorite. It is more of a science fiction book than a mystery with witches and curses. I enjoyed this book more that the 1st. The characters seemed more believable less hocus pocus. Listened to it in one afternoon while cleaning house. This book wasn't what I expected but it was still interesting. The reader was good and the characters were described well, however at times it seems a little slow. Nora tells a good story though this one was not my favorite due to the subject matter. This is also a good book to hear. 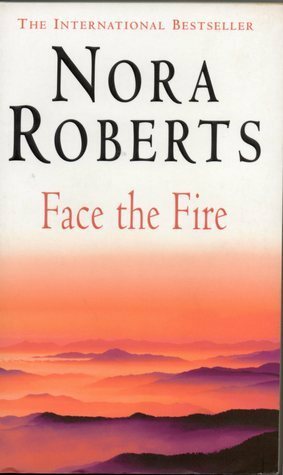 One of three in the series for Nora Roberts. It's not about witchcraft (Satanic) type like you might think from haering about it. I'm Christian and it didn't offend me at all. It's a fun type of book,and one that will really keep your intrest to the end, until you get the other one of her series. The book was narated very well and smoothly,not abrasive at all. Close your eyes and listen very closley and you'll think your almost there with them.It covers all the basic bases - Romance,Drama suspence,and even heart break sometimes. Great read. Try it - you'll like it! I couldn't get into this audio book at all. I tried twice. I was only able to get to the first 15 minutes and lost patients with it.. Terrible, horrible, never got my interest. Don't waste a rental on this.